Maxwell further added “If you are comfortable, you are not growing.” To start the year, we shared some new investment options for 2016 and included in the options is farmlands. For the charitable-Ilocana* and I, investing in a farm land is way beyond our investment appetite given the large capital outlay, it is pretty much a leap of faith. Way outside our comfort zone, but we had to jump, to start fulfilling our field-of-dreams (literally). It’s just a small farm really, good enough for us starters. 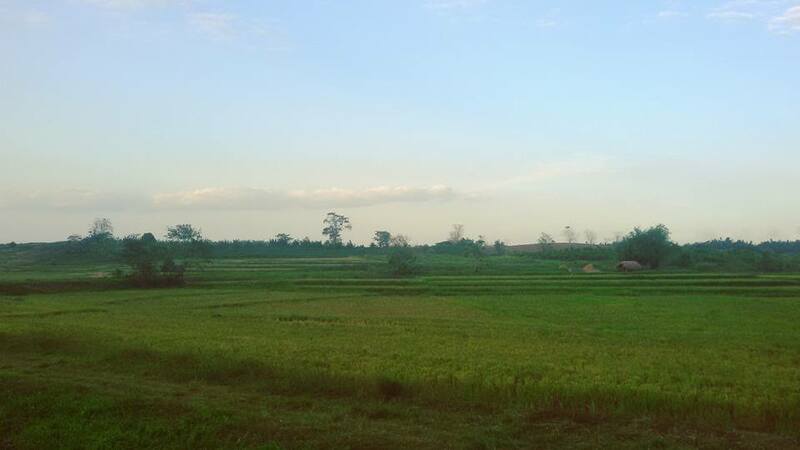 2 hectares (20,000sqm) inclusive of irrigation canal, at PHP40/sqm. Around 18,200sqm is usable, the rest is for the irrigation. Of the 18.2K sqm, maybe around 16K sqm is now being used for planting palay (rice) while 2K is on an elevated portion where a nice small hut sits (resting place of farmers), plus some trees good for lumber. We plan to convert this 2K sqm into an irrigated rice field as well, then fill the boundaries not by trees for lumber but by mango and coconut trees. Dreams. 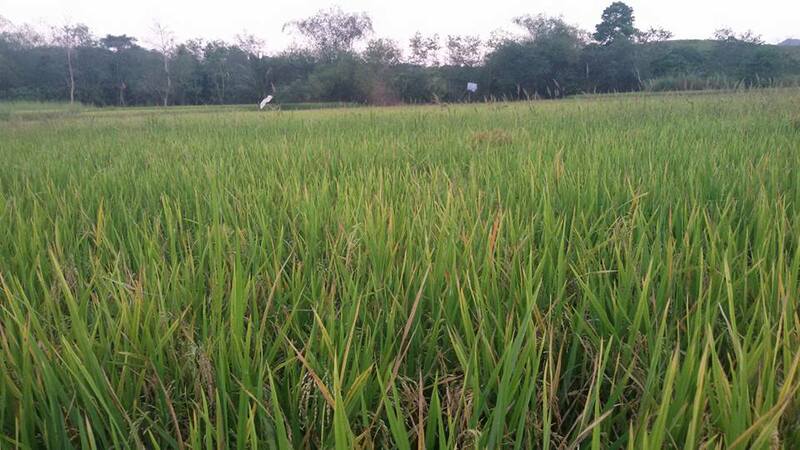 The title for the rice field is actually a CLOA – Certificate of Land Ownership Award. And the title is not even the usual TCT (transfer certificate of title) but actually OCT (original certificate of title), which means the previous owner is the original original owner. The farmland was awarded to the owner by the government as part of its Agrarian Reform programs. CLOA titles have annotations where the owner cannot sell the property within x years from date of awarding (e.g. 5 or 10 year period), or if selling within this sort of lock-in period, only to dependents and buyers stipulated in the CLOA (usually children). As such in buying CLOA, Juan should abide by this stipulation. Since the ricefield is irrigated (and rice planting really needs lots of water), the farm is able to come up with 3 planting-harvest cycles per year. In provinces I’ve been where rice planting is not irrigated and is only dependent on rainfall, harvest cycle is only 1 to 2 per year. This is another crucial factor to consider in buying a farmland – whether it is irrigated, and whether what you will plant needs lots of water. Especially nowadays when El Nino ravages the farms of our poor farmers. Being irrigated is not even a guarantee since some irrigation sources also dry up or are rationed during hot seasons. So far, and as expected, the best planting season we have experienced is the Jan to April when summer is peaking and there is very low chance of typhoons. The farm yielded 155 cavans of palay. We haven’t experienced the May to August cycle since we just got the farm last September. But we’re expecting that the May to August cycle is slightly better than September to December since the latter is prone to heavy rains and typhoons. Yes ricefields need water but once it approaches the harvest season and the rice grains start to turn golden, when the actual bigas grains form, it should not get wet (or worse deluged in water), otherwise it will stump the growth of the grains, the grains might fall from the stalks, or start decaying. Sayang. 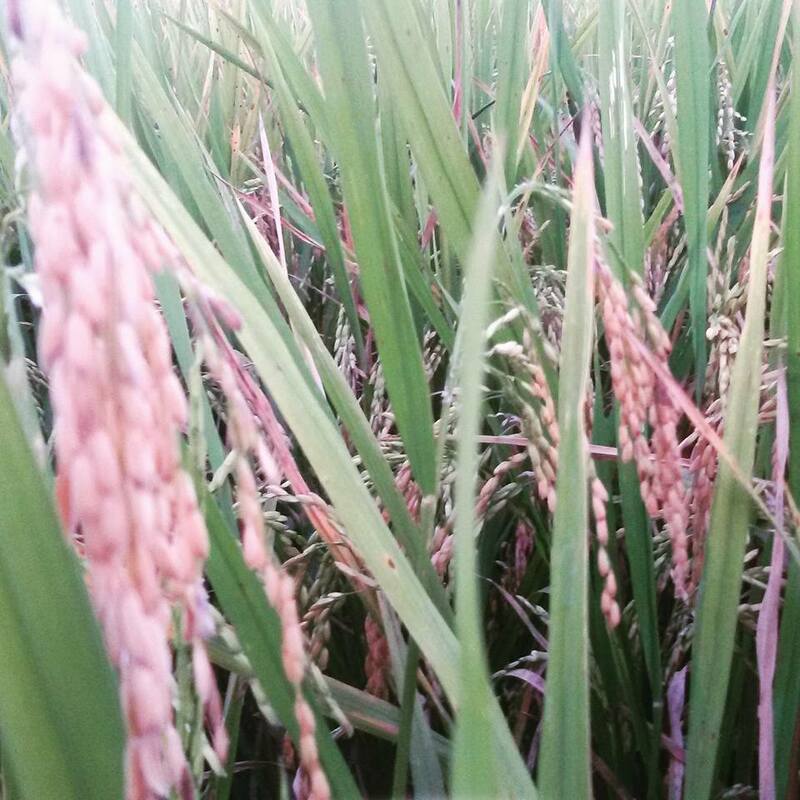 For now, we wanted to make the farm a purely passive income source so as much as possible, we don’t spend and invest additional capital in the actual rice planting. In short, we just wait for actual gains. This is also because we’re still paying for the monthly amortization of the unsecured loan we availed to pay for the farm. Our set-up with farmers is 80-20 which is common in Quirino province. The farmer will get 80% of the net proceeds of the harvest, but s/he will also spend or arrange for everything, rent for tractor and land tilling, wages of other farmers who help out in planting and harvest, fertilizers, pesticides, dues to use of irrigation etc. The land owners will then get 20% of net proceeds, for allowing use of the land. Is this a just and fair way of sharing? I don’t know but as of the moment, that is the practice among them. I don’t mind not getting the lion’s share of the harvest since I did not exert much effort and capital anyway of making the harvest possible. I just hope the farmers also find their 80% share enough. Key risk though is during the lean months and rainy seasons. In one instance, we have a pawned land (owner needed cash so he pawned his land to us, we gave him cash while we have rights for 3 harvests in his land, until he’s able to give back the cash in lump sum). Anyway, the pawned land is 7,000sqm but harvest last December was affected by typhoon Lando. The harvest only yielded 15 cavans of palay, and we got 3 cavans. Sad. Imagine the effort of farmers, working hard for 4 months, just to get 12 cavans of palay. Removing the husks and all, and converting palay to bigas, the 12 cavans of palay might be only worth 6 to 7 cavans of bigas. And we’re talking about gross terms, still excluding other expenses incurred along the way. Investing in agriculture and farming is really tough for investors, but more so for farmers. More so for those whose only source of income is farming. They have to work hard and toil for 4 months before seeing harvest, and yet there is no guarantee as to how much they will reap during harvest. But if it’s among your passive income sources, lucky you. Be grateful, be thankful, and be nice to farmers who work hard just to give our country our staple food of rice. As for the charitable Ilocana and I, we remain committed and gung-ho in growing our farmland investments and passive income, despite the challenges and risks. After all, no investment is risk free. And if we’re comfortable, we are not growing. *My idol Francis Kong fondly calls her wife the Ilocana. So nakikigaya lang talaga ako. I hope he did not copyright such term of endearment in his blogs. Next: Next post: Ask Geri: I Want to Get VUL and Mutual Funds. Is it OK? Goodmorning, I would like to buy two lots that are CLOA titled lots but they total 5.2 hectares. One of the lots was sold after 10 years to a sister who now has the title in her name. so I would be the third owner. Is the land still considered CLOA land? If so, will it always be CLOA land? Is it true that I will never, in my life, be able to own more than 5 hectare of CLOA land at one time? I just bought a land, just 200sqm and its CLOA will be released this week under the name of the original owner, not mine. The original owner sold the lot because she’s suffering from certain ailment. We agreed to make the deed of sale. Now, what will happen if the owner died in less than 10 years, in which CLOA title cannot be sold? Can we ante-date the deed of sale instead and date it 10 years later? Would that be a help or be another problem sooner or later? This is how others usually do it. Ante-dated Deed of Sale (DOS). It works for some Registry of Deeds but we can’t say it will work for all. Some require actual presence of the buyer and seller during notarization of the DOS. It might also be a problem if the seller is deceased, technically the rightful owners are the heirs so if they contest the sale 10 years down the road, they might actually win since the sales wasn’t executed yet legally. Our non-lawyer opinion only sir. After the lapse of 10 years lock-in period of CLOA land title, Can it be sold to corporation? Hello po , Im plan to buy Land with CLOA title but the title is not yet 10 years . Magging null and void ba ang pagkakabili ko dito ? The number of years differs per title, meron 5, meron 10. I wouldnt advise buying it before maglapse yung limit, pero others would buy it then execute the deed of sale na lang after maglapse yugn limit. If nabili nyo na, agree na lang kayo with previous owner to transfer the title after the prescribed period has lapsed. Depende po sa nakalagay sa title na restriction period eh. Yun talaga ang basis so govt nagdedetermine ng holding period when they originally granted the property. If buying a CLOA Title and transfer later in our name do you have to name it to their heirs 1st before transferring it our name? The owners is still alive. No need as long as the original owners signed the deed of sale. The heirs only get involved if the owners are already deceased. May I ask: Can lands under CLOA be sold after 10 years? If so what steps are to be taken to sell this type of land? Yes. As discussed in the article, extra steps will be clearance from Landbank that payables have been settled and Cert of no Tenancy. If I buy a land with CLOA title, am I required by the government to use the land just like what the original owners did? Can I use the land as an organic farm instead, with developments inside such as a vacation house and for agri-tourism business? Will the new title under my name, will still be covered under the CARP with new CLOA title? Thank you. Based from our experience, the title that we got did not include any provisions saying it should be maintained as an agricultural farm. Nonetheless, when you verify the title with the registry of deeds, it will be good to clarify with them as well whether the transferred title under your name will contain any restrictions or not. Especially if will be a drastic change, say from agricultural to suddenly residential (like a subdivision) or commercial. Best to inquire with the municipal assessor’s office as well since I believe they have categorizations in the land they cover, as indicated in the tax declaration. http://i0.poll.fm/js/rating/rating.jsPAANO PO KUKUHA NG CLEARANCE SA LANDBANK? anu po ang gagawin ko para malaman ko kung may natitira ba syang bayaran sa landbank? saan po ako mag verify? salamat po. While it is true that rice farming (or farming in general) is hard (both physically financially), it need not be the case. Even without government help in terms of roads, processing & storage facilities and other related financial & physical infrastructure, farming in general should be fruitful. The key, I believe, is the idea of cooperation. We need to cooperate in terms of what items to plant relative to volume, type & timing; share ideas and experience on what plants are best on what type of soils; proper and better use of fertilizers and pesticides and the like. There are places where roads are good, loans are reasonable (some are almost free interest) & modest post harvest facilities but the farmers are still poor even after more than 2 or 3 years of continued good harvest. We people are simply too hard headed on our beliefs and ways that we refuse to cooperate even on the simplest terms.